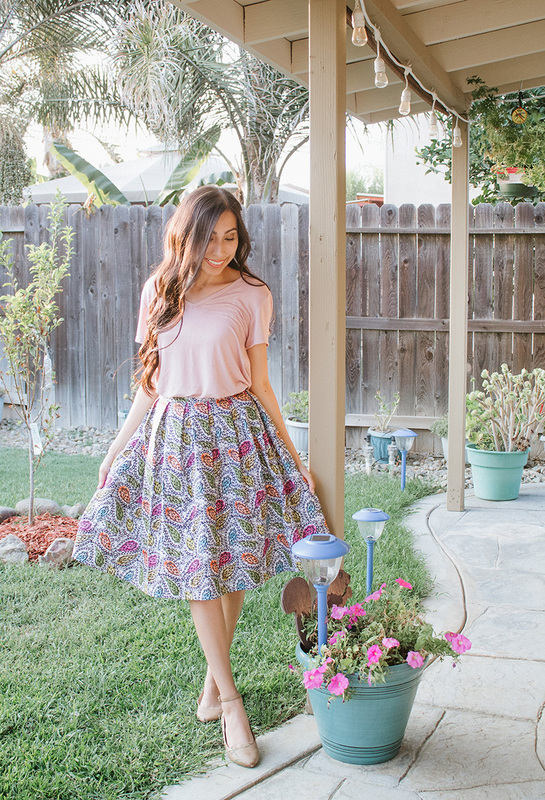 I first sewed a pleated skirt when I made this pink floral skirt last Spring. 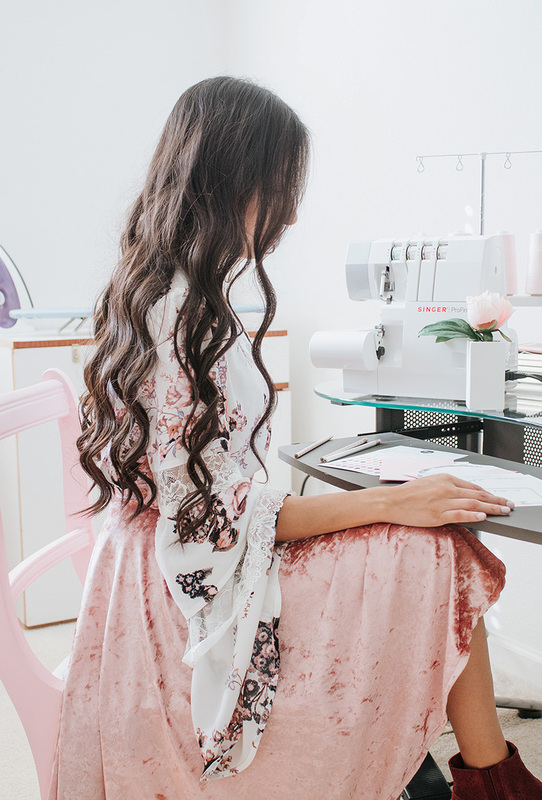 The first time I sewed it, it was more of a trial run because it was my first time ever making pleats. I ended up posting my project on the blog though, because I liked how it turned out. To this day, I still wear my original pleated skirt. 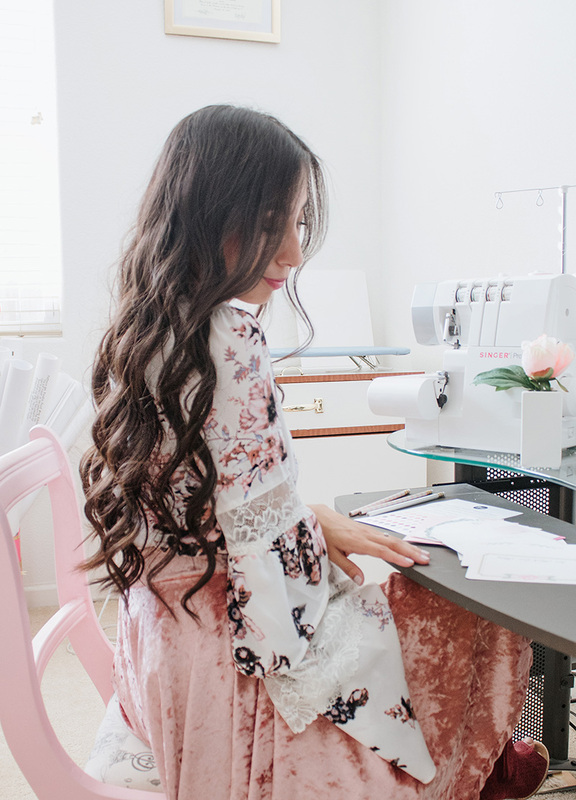 This time around however, I can tackle pleats more easily, soI decided to give an update and provide step-by-step instructions on how to cut and sew your own pretty pleated skirt. This post is sponsored by Basic Invite, but all thoughts and opinions are my own. I only recommend companies and products that I have personally tried and loved. With all the fun holidays, come all the fun gatherings. If you’re planning a gathering this year, let me tell you about Basic Invite. But first, what is Basic Invite? Well, anything and everything but basic! Basic Invite is a company that offers truly customizable invitations, stationery, and more. 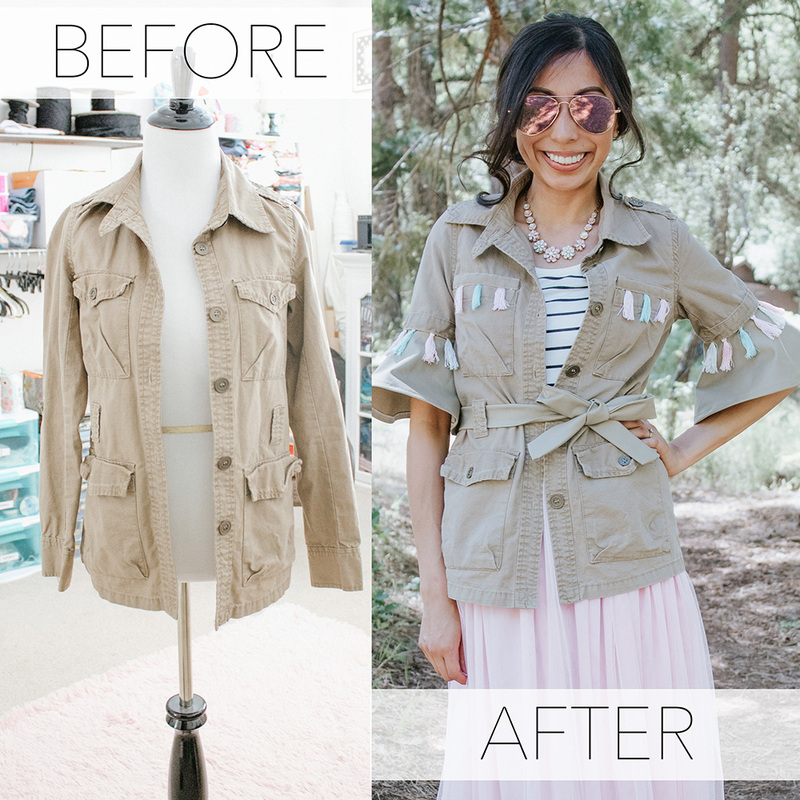 This is such a classic refashion, and I don't know why I didn't post this tutorial earlier. 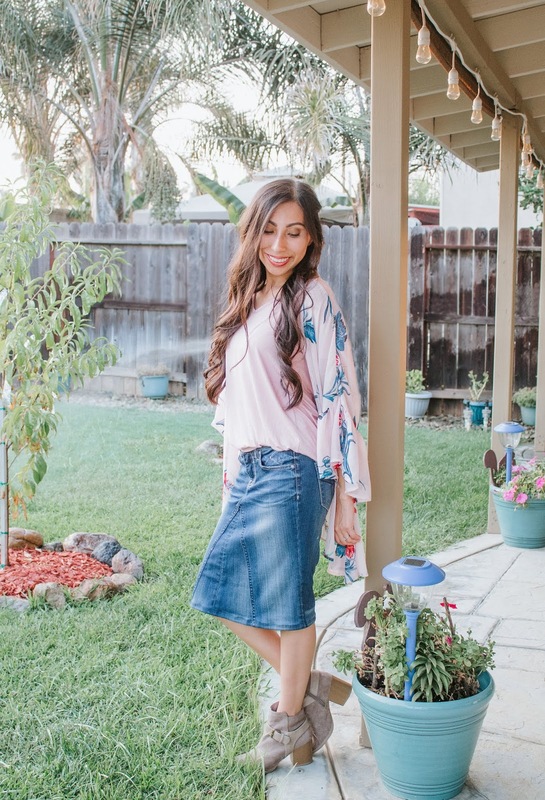 Over the years, I've tried various methods, but today I am showing you the two methods I now use to make denim skirts. 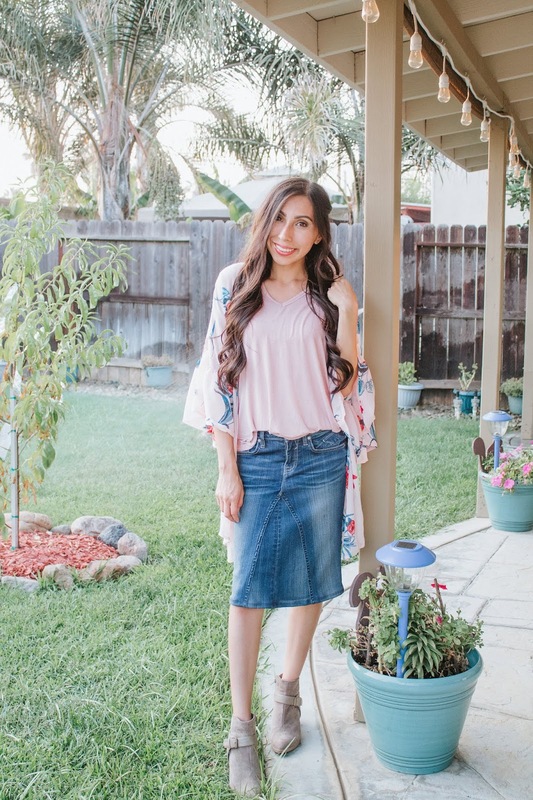 Denim skirts are a must-have for any modest closet. While I do wear denim jeans, I enjoy wearing denim skirts a lot. 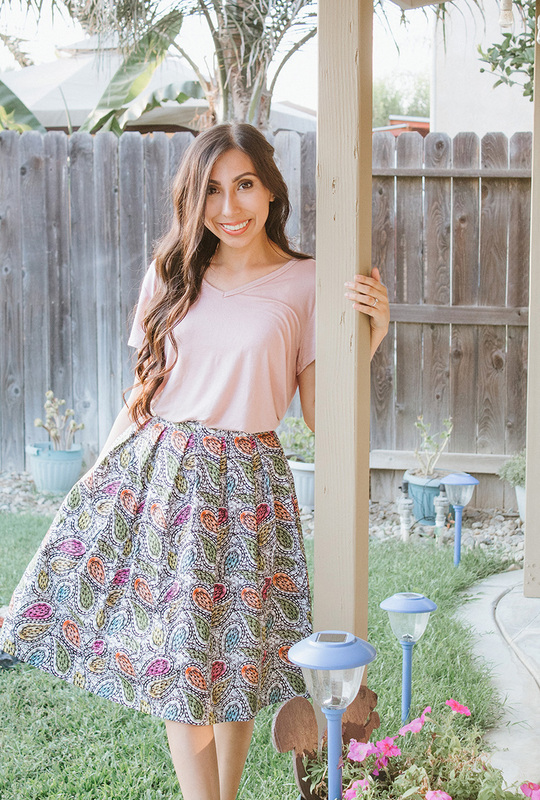 • It's fairly easy to make your own skirts. 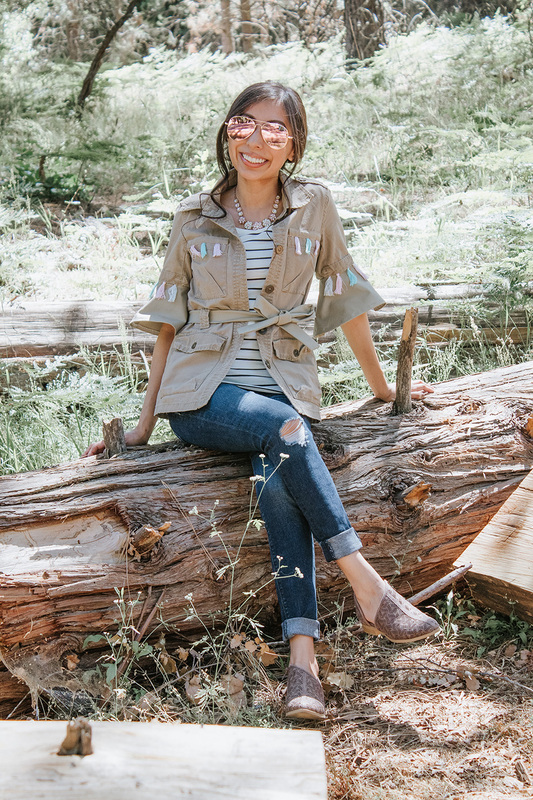 I thrifted this jacket back in 2014, and I loved it for chilly summer afternoons in San Francisco. Fast forward to 2018, and I see my poor little jacket all alone in the back of my closet. I've worn it maybe once or twice these past couple of years, so I decided to give it a makeover. I'm currently loving the tassel trend. (Dear fashion, please keep it alive a while longer!) 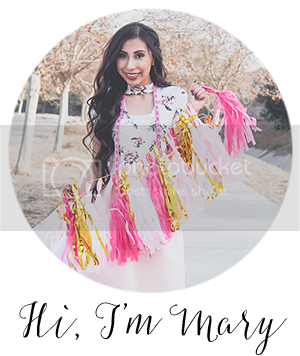 If you've know me for a while, you've probably realized that I love pastel colors, so I was so excited to make pastel colored tassels when I found these threads hiding in my stash. 3. This jacket was sash-less, so I made a new one that matched the sleeves. 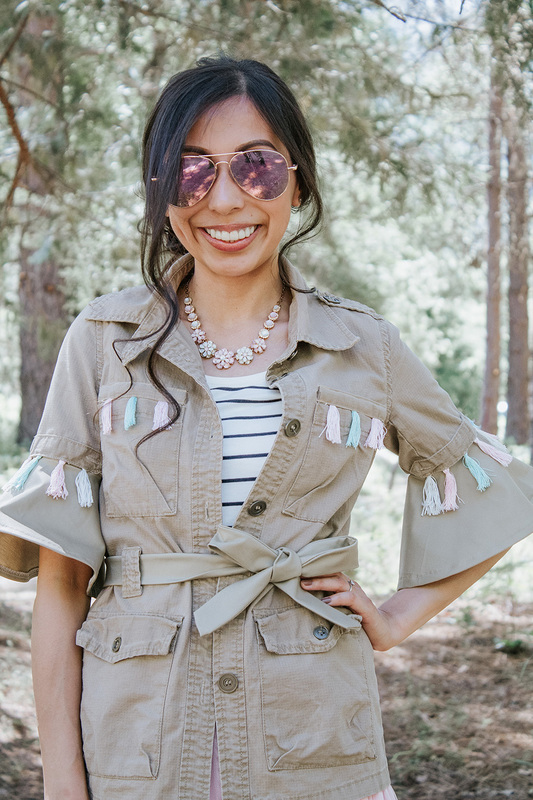 I matched my new DIY refashioned tassel jacket with this pastel floral necklace. I also loved how well it paired with a skirt (for a more dressed up look) and my favorite jeans (for a more casual look). 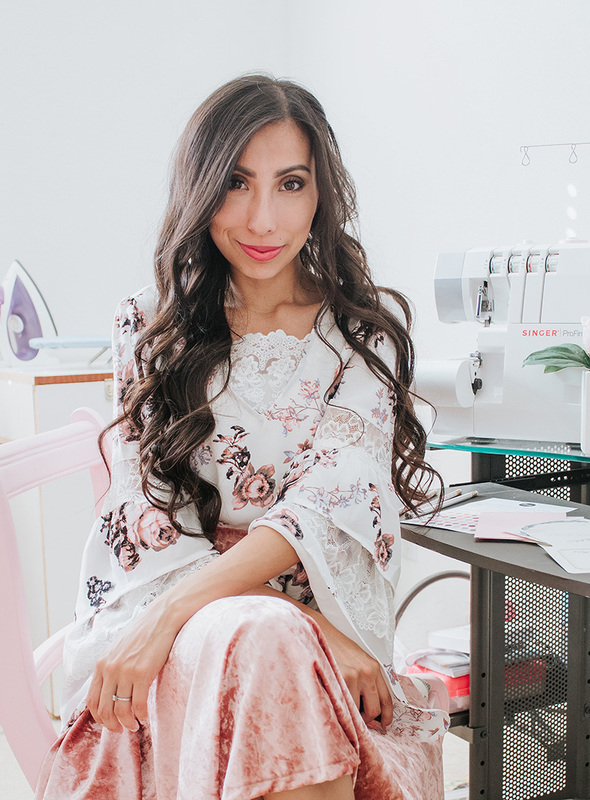 I'm all about versatile pieces in my closet!